Personal project, from a school subject. A luminous co-creation of an object under the theme of sustainable development. 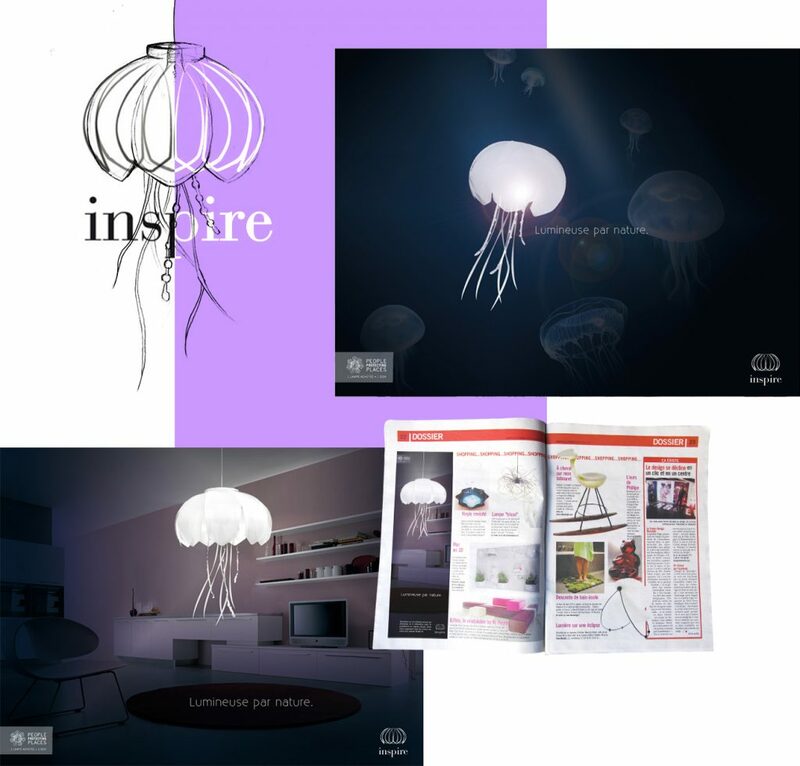 Inspire © is an innovative suspension lamp. Born of biomimicry, it opens and closes according to the luminous intensity of the room. Aesthetic and ethical, it is a hybrid: it works thanks to the solar energy recovered by independent solar collectors that are placed outside. Concept / Problem set out on a Tuesday in October, between 14 and 18h. How to create an object that is both design and eco-responsible? Inspire is the fruit of it. *Biomimicry: process of innovation and engineering inspired by the forms, materials, properties, processes and functions of living organisms. * Bioluminescence: production and emission of light by a living organism resulting from a chemical reaction in which the chemical energy is converted into light energy. We are looking for brilliant funds and minds that could help us create a viable prototype.